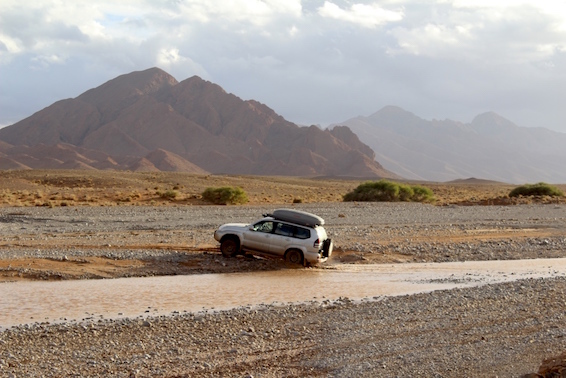 The incredible capability and reliability of the Toyota Land Cruiser has been proven time and again – but few journeys we’ve covered here on the Toyota UK Blog have covered as many different terrains as Peter and Jolene Weaver’s recent trip. 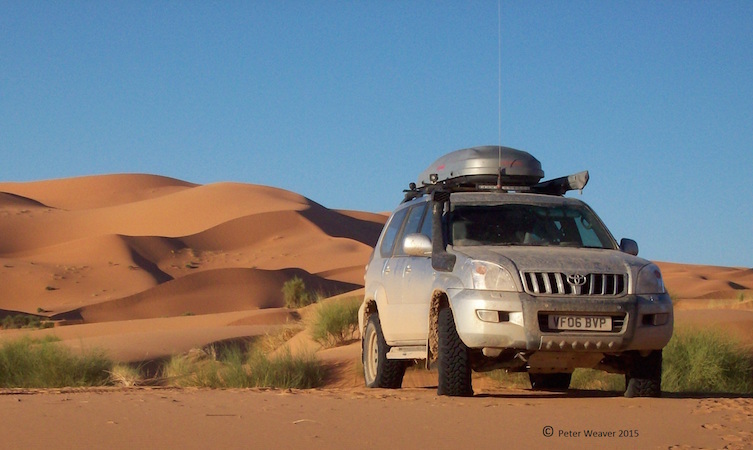 Peter, a 63-year-old retired RAF engineering officer, and his daughter Jolene, 35, who is a civil servant, spent 16 days driving Peter’s 2006 long wheelbase LC3 across the deserts, marshes, plains, dunes, forests, mountains and river beds of Morocco. 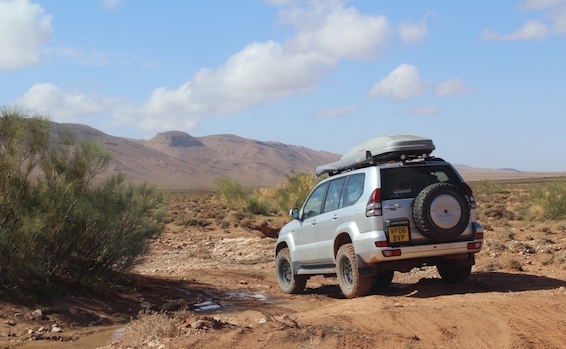 Camping in the wild, skirting the tense border with Algeria and plotting new routes during the 2,000-mile trek proved a true test for the pair, and for the Land Cruiser. Here’s their story in their own words. 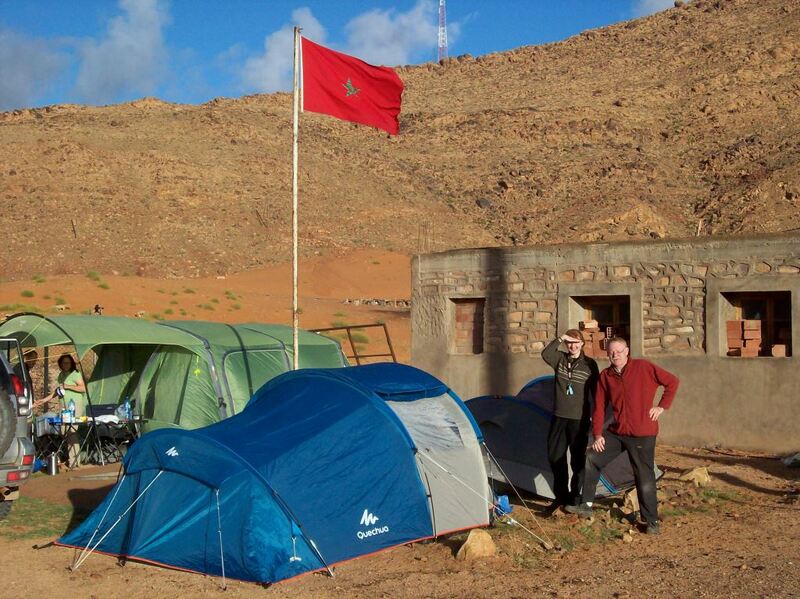 Toyota Blog: What was it about this Morocco trip that interested you? Peter Weaver: I’m a fan of off-roading. My wife and I moved to the Algarve in Portugal almost five years ago – the weather and friendly people were obviously attractions but there are almost limitless off-roading trails, too so I’m very happy there. 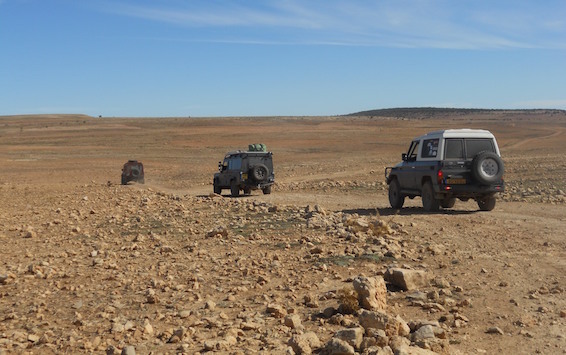 For some time I have been interested in the possibilities of driving in Morocco – reading about it in 4×4 magazines and hearing from fellow off-road drivers stimulated my interest. Now I’m retired I decided to do something memorable rather than just while away the time in the garden trying to grow roses – and truly memorable it was! 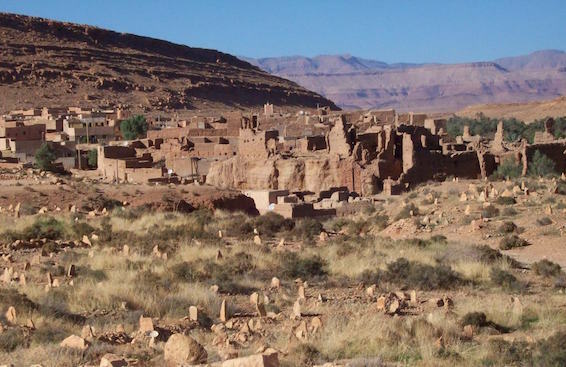 Jolene Weaver: My motivation for accompanying my dad on the trip was getting to see all the sights of Eastern Morocco. The challenge of trying some of the last remaining unspoilt off-road tracks within relatively easy reach of Europe was also really appealing. TB: How prepared were you both for the conditions? Was the trip hard going? JW: I’d say we’re both fairly experienced in terms of off-roading. 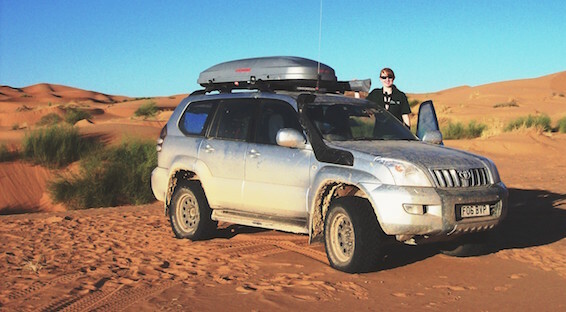 I live in the Midlands and actually work part-time as a demonstration driver at the Land Rover Experience, so I was intrigued to discover how dad’s nine year-old non electronic (LC3) Toyota Land Cruiser would respond to the challenge. It certainly did. The range of terrain we covered tested our driving skills each day; the vehicle’s capability was evident in the ease with which we were able to confidently negotiate natural obstacles as diverse as boggy marsh land, wide open gravel-strewn plains, sand dunes, alpine forest routes, mountain rock crawls, river beds – some dried others very muddy – and narrow, winding donkey tracks with sheer a drop on one side. PW: I have owned three Land Rovers, but this is actually my first Land Cruiser. I bought it for its off-road ability, reliability and comfort. Some of my old Land Rover owning friends told me I’ve gone to the ‘dark side’, but when they see the grin on my face they begrudgingly concede that there might be something in Land Cruiser ownership after all! TB: How did you get involved in the trip? And what were your overall impressions? PW: It was an Impala Adventures reconnaissance mission for a ‘proper’ trip to be run in October 2016. The group was formed of experienced off-road drivers known to Neil Hopkinson, the owner of Impala. 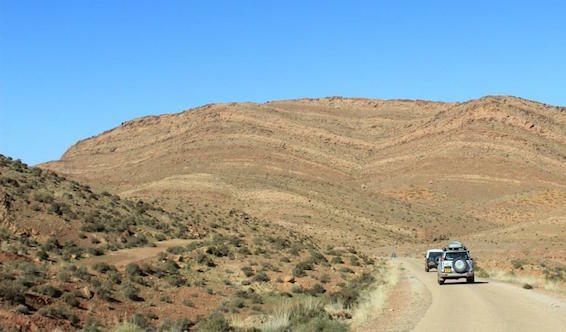 As it was a recce the level of the unknown was quite high – adding to the sense of excitement and adventure. 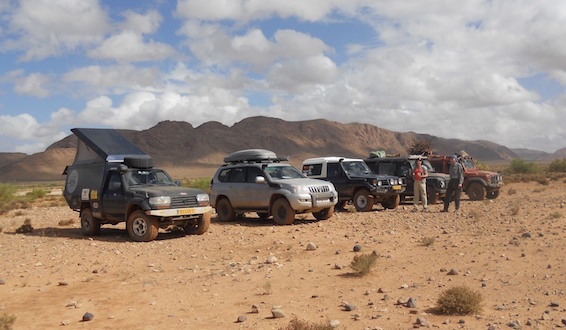 JW: The expedition was intensive but thrilling – it literally took us far off the beaten track. It has only added to my enthusiasm for off-road driving, no matter what badge the vehicle displays. After all, the core off-road driving techniques apply to most 4×4 vehicles. TB: And what did you see? Did you have any particularly memorable moments? PW: There were 16 days worth of memorable moments! The vistas were truly awesome. 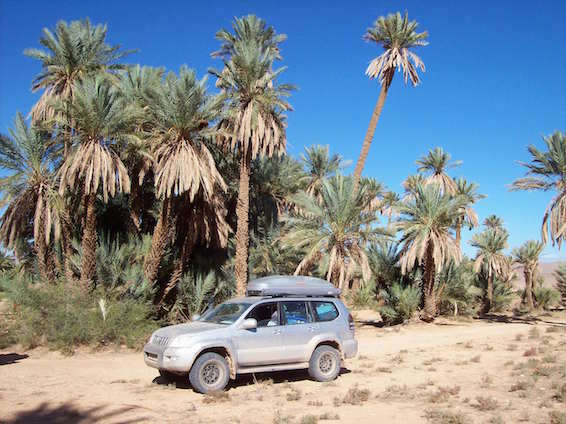 Every few days we would come across vastly different terrain – one day we could be driving into wide-open gritty desert, with nothing but more desert on the horizon and no real trails to guide us. One could drive for a day and still not reach the ‘other side’. Every so often we came across water-logged and very muddy river-beds which would take some thought, route-planning and careful driving to cross successfully. Another day we could be clinging to narrow mountain trails winding our way through an unspoilt nature park, stopping to photograph the views or animals that we came across. It was almost a sensory overload. I must add that the Moroccan people whom we met as we were driving along these out-of-the-way eastern routes were very friendly and helpful. Many were inquisitive and very happy to talk – our basic O-level French was tested to the limit. We had an opportunity to discuss each day’s highlights with the rest of the group around the camp fire in the truly wild camp sites where we pitched our tents for a number of the nights – that was a wonderful experience. TB: Can you tell us more about the car? PW: It’s a 2006 long wheelbase Land Cruiser LC3. I bought it over a year ago from a retired couple living near Portsmouth, specifically for doing the trip to Morocco and potentially similar adventures thereafter. I went for the lower-tech LC3 to keep things simple. It is a 3.0 litre diesel automatic 120 model, and having returned from the trip, it still has not yet completed 50,000 miles since it was sold by WKB Waterlooville Toyota to the original owner. It’s in good condition, it has a low mileage and a full service history from WKB, so it was quite a simple decision to buy it. I saw it as a new advert in Auto Trader, flew in to UK from the Algarve the next day, viewed it and paid the deposit there and then. I hear from the previous owners that it looked after them very well, as it did us. 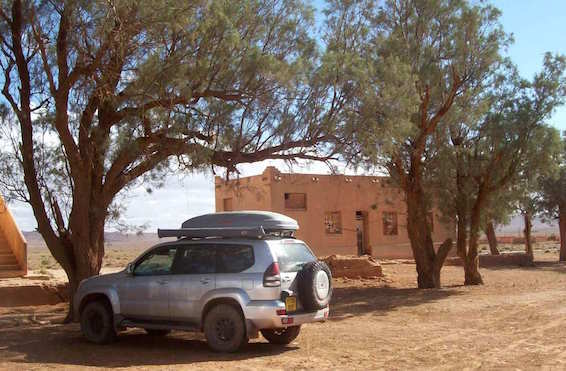 It must be the only Land Cruiser to have sent a post card from Morocco to its original owners – which arrived a couple of weeks ago and I hear it made their day! TB: How do you prepare for a trip when you don’t know exactly where you’re going? Was that hard? JW: Dad completed extensive research ahead of the trip and it proved worthwhile in a number of situations. 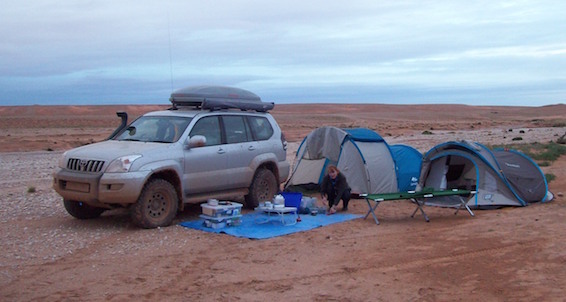 This research led him to ensure that a number of specialist alterations were made to the Land Cruiser specifically for this expedition. For one, the storage space was increased to bring a comprehensive pack of food, equipment and first aid items to cope with being potentially a day away from the nearest help, hospital, or fuel station. From a safety perspective I was glad that we were travelling in a formal convoy of 5 vehicles, as there were plenty challenging situations where winching or a tow-recovery could have been required. Thankfully, our very experienced guides Neil and Joao took us through some absolutely amazing landscapes without any issues. TB: And did you make modifications to the Land Cruiser? PW: Over the past year I have had numerous items and gadgets added to my LC3. The modifications involved fitting a snorkel – not so much to keep water out of the air box, but more to make sure it didn’t get clogged with trail dust. The suspension was upgraded by fitting new heavy-duty springs and shock absorbers which gave a 35mm lift. This was supported by improved brakes and discs to allow for extended periods of braking and a good coat of Dinitrol to keep chassis rust at bay. Just setting out on the adventure, I fitted a slightly taller set of mud terrain tyres with strong, damage-resistant side walls capable of running at significantly reduced pressure on soft sand. These proved excellent for all of the types of terrain that we encountered and were surprisingly acceptable on tarmac and at motorway speed too. We really appreciated their traction and self-cleaning properties when driving through some very gloopy muddy ground during the first week. 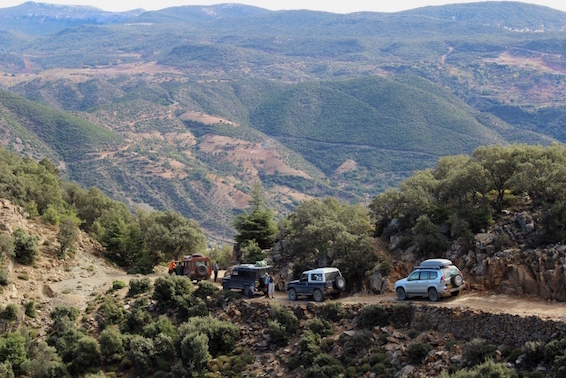 The four other vehicles in our convoy had the more usual (and recommended for Morocco) less aggressive all-terrain tyres and these suffered from clogging in the muddy stuff. One essential addition was a rear-view camera that activated with the reversing light and presented on a replacement rear view mirror display a clear picture of what was immediately behind the rear door. This was a very reassuring safety feature as crowds of small children were liable to gather round our cars whenever we stopped – with the car filled, the ordinary mirror only provided a view of the rear compartment and the wing mirrors could not see round corners! Inside, I removed the boot-space seats and the larger 2/3 rear seat back and base to give us excellent storage space. The 2/3 rear seat was replaced by a transverse-mounted ARB fridge-freezer around which we installed a really useful shelving and storage system, which stretched back to the rear door and included the heavier equipment. Lighter items (including loads of toilet rolls!) we placed in the top-box. This storage set-up enabled us to access any item with minimal off-loading. We retained the smaller rear seat behind the navigator/co-driver’s position, just in case we needed to carry a third person. That seat held its share of plastic boxes containing cleaning and immediate-use cooking items. Tie-down rings proved excellent for securing a load-space cargo net which kept things in place during the bumpier parts of the adventure. TB: It sounds like the car ran well throughout the trip – is that right? I had the first service carried out the week I bought the car over a year ago (in Portsmouth) and the most recent was the day before I drove it on to the ferry from Portsmouth to Santander, so it was very convenient to use WKB. That said, my choice of using WKB was about more than just convenient location – I have gained high confidence in their servicing support from Lee, their Servicing Manager, and especially their technician Colin who is a real Land Cruiser ace and has that essential skill, knowledge and good memory that has proved most useful. In terms of issues, before departing I had the air-con checked and a small leak caused by a split pipe-end and worn o-ring seal fixed by my local Portuguese Toyota dealer. 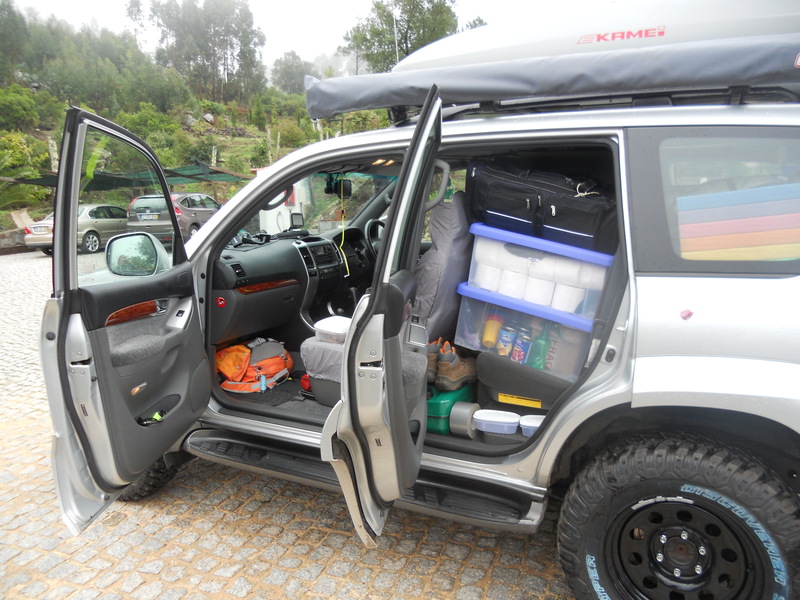 After that my Land Cruiser performed impeccably – throughout the adventure it felt reassuringly safe, sure-footed and just kept on going, looking after us all the way despite what we and a few others threw at it. A very minor issue, accumulation of heavy mud inside the wheel arch, caused one of the front wheel arch guards to detach from one attachment point and need a temporary fix but, otherwise, the tool kit remained unused. TB: Any plans for another trip? PW: I am seriously considering trying to form a group to undertake a similar expedition, again in Morocco but this time without the wild camping element – so it would be hotel/auberge-based for those (like me) who would love the adventure, the off-roading and the views, but who really appreciate a hot shower, good meal and comfortable bed at night. Hotels off the beaten track are not expensive and happy to have the business if booked well in advance. 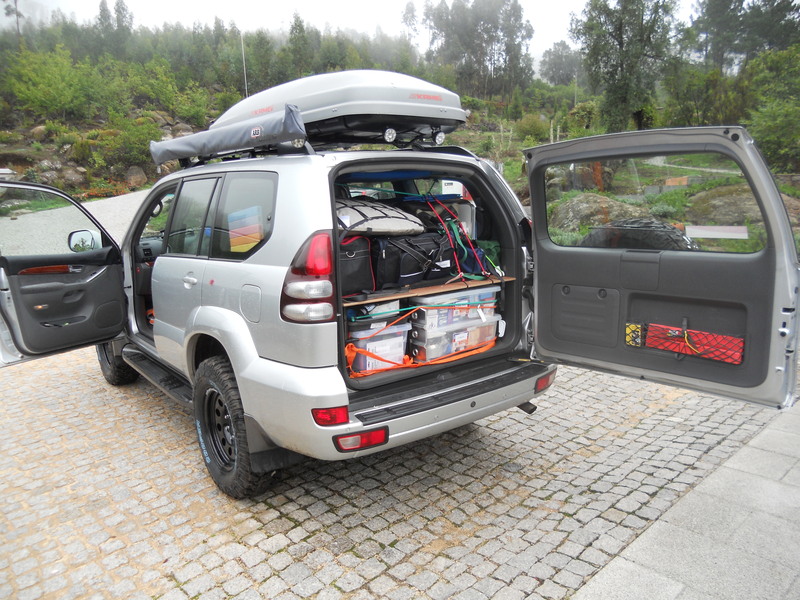 For me this would mean that, without two tents, sleeping bags, cooking equipment and so on, I would need to use just half the load-space of the previous trip. 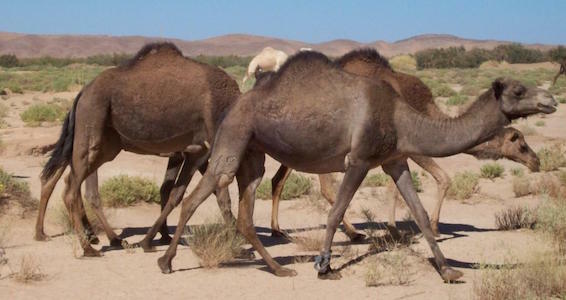 If I can get enough interest, I will try to persuade Neil of Impala to arrange a special ‘comfortable Morocco’ adventure for me and others, based on the routes we took this October. 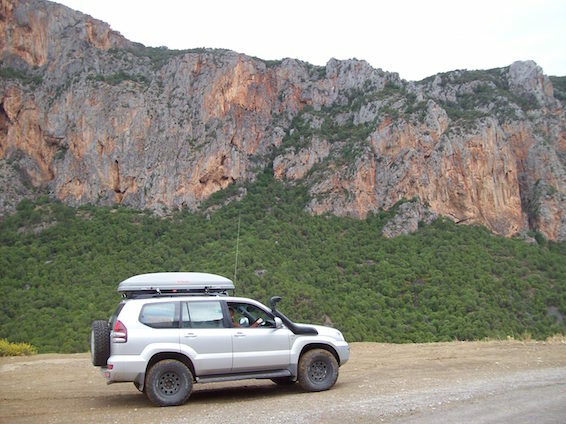 A moderately experienced off-road driver in a standard, well serviced and reliable Land Cruiser (aren’t they all?) fitted with good tyres should find the going interesting, challenging in parts, quite “do-able” and above all – a real adventure. If this sounds like your kind of fun and you’re interested in speaking with Peter about an off-roading trip, post a comment below and we can put you in touch. Alternatively, send us a private message on our Facebook page. See our other Toyota Land Cruiser posts and content here. All photos: copyright Jolene and Peter Weaver / Folkert and Netty Kromkamp. Got a long-lasting Toyota? Join our High Mile Club and get a free sticker! "Hi there, If you could please provide a reg or VIN number, we wil..."
"Hi there, Thanks for getting in touch. The system generates drive..."
on How do the Toyota RAV4 all-wheel drive systems work? "Hi there, Thanks for getting in touch. Wireless charging is not s..."
"Hi there, Thanks for getting in touch and it’s great to hea..."